Someone was telling me recently how they always feel nervous in big-group situations and it reminded me of a client I had a few years ago. I thought I'd write his story today as a bit of a case study, which will show you the power of taking control and putting some belief in yourself. For the sake of privacy, I've changed his name to Neil. Neil went from being painfully self-conscious to being ready to take on the world (well, Australia, at least!). Like many Irish twenty-somethings, Neil was going to Australia for a year. He knew there'd be job interviews and lots of interesting strangers to meet on his travels so he figured he'd be spending a lot of time out of his comfort zone. He was determined to enjoy these things as part of the adventure and wanted to make it a trip to remember. But the reality was that Neil had always felt a crippling self-consciousness in group situations, and didn't want to be 'held hostage' by those feelings any more. He explained to me that he would occasionally stay home rather than go and meet his friends in town, because he hated having to walk alone through the bar to look for them. When he did go out with them, he felt that his opinions, thoughts and stories weren't worth contributing to the group. He would feel panicked when he was the centre of attention, with everyone looking at him. When he met strangers, or got talking to a girl, he would feel tongue-tied and would struggle to keep the conversation going - which of course, led to more stress for him. He had had enough. He decided to take action before he set off to Oz and called me to arrange some coaching. Neil came across to me as a very pleasant and friendly guy - maybe a tiny bit shy, but certainly someone who would be good company and easy to get along with. He was articulate, showed a genuine interest in meeting me, didn't look anything like the Elephant Man, and didn't dress like Timmy Mallet either. Yes, he had an introverted personality, but that didn't mean he was incapable of having a good time in social situations. It was clear that this was more than everyday shyness or introversion, but he was clever and my God was he determined to make a change, so I knew we would make rapid progress together. We decided that Neil needed some help changing his view of himself, a couple of frameworks for understanding how his mind worked and a few tools he could use to handle social situations better. - Why would these people want to listen to me? - What's wrong with me? We explored where these thoughts were coming from and the ways they were holding him back. 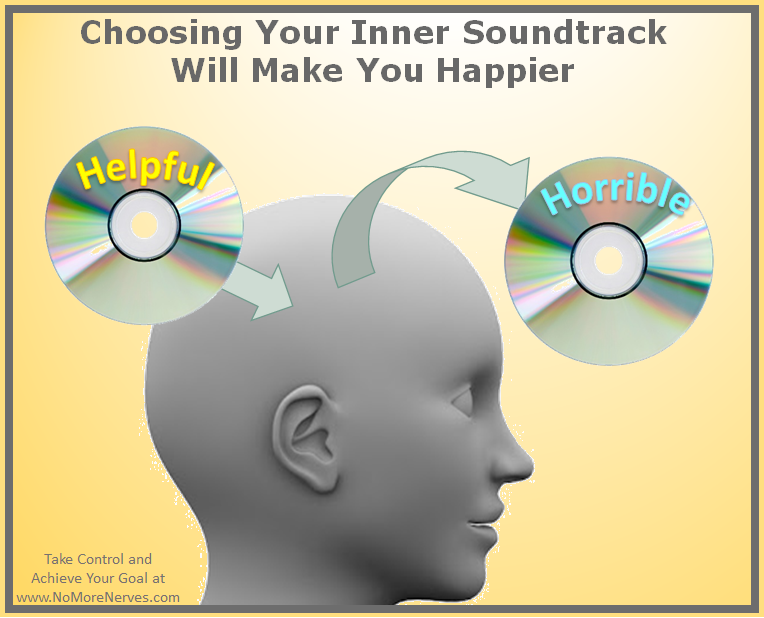 I showed him how to recognise this soundtrack when it was playing (it was such a constant background tune, he'd stopped noticing it), how to hit the stop button and how to CHOOSE A BETTER SOUNDTRACK! If you're going to be talking to yourself (in your head! ), I explained, you might as well be a mate instead of a bully! He knew he would never speak to anyone else this way, so promised not to talk to himself this way, either. Having increased his awareness and understanding of himself, we worked on a few exercises that helped him cope and interact better with others too. Kind of like giving him a cheat-sheet for the next few outings, until it all felt more natural to him. Well, of course it was a happy ending - everyone loves those, right?! First off, Neil felt normal. It's not a word that sounds particularly flattering ("yeah, I really like Neil, he's such a normal guy") but it's important for people to feel that they're not crazy or weird. Once he understood that he wasn't less of a man than his friends, and was just as interesting and deserving of happiness as anyone else on the planet, his anxiety lifted. Secondly, this 'un-burdening' meant that he now felt able to take control of his thoughts, feelings and behaviours. In turn, this freed him up to take in new information and confidently try new things. He embraced the ideas we came up with and enthusiastically tried them out. He kept in touch with me for a while afterwards and dropped me a line when he reached Australia. He was off to a great start, felt like a new man and was happy to be listening to a new, exciting, positive inner soundtrack.